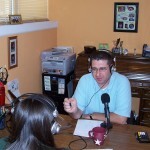 Episode 79: Why Dave Ramsey Doesn’t Make Sense: Sept. 27, 2011. Dave Ramsey has a lot of critics in the financial world. Many of them criticise his methods because they don’t make mathematical or theoretical sense. But Dave isn’t trying to make mathematical sense. He teaches financial techniques that work from an emotional and Biblical standpoint. Dave Ramsey’s Entreleadership nationwide simulcast is coming up on Sept 30th. If you’re in the Sheboygan, WI area you can register and attend at Word of Grace Community Church in Sheboygan Falls. Dave Ramsey’s business advice doesn’t make sense to the secular world. That’s because he follows Biblical guidelines when he can. He’s not perfect (and neither is anyone else) but he tries to stick to God’s word when doing business. Dave Ramsey’s advice on debt doesn’t make any sense either. That’s because his advice isn’t based on math or current financial philosophies. It’s based on emotions, behaviors, and the advice you’d find in the Bible. Dave Ramsey’s advice on credit scores doesn’t make any sense to the secular world. Since he doesn’t borrow money (see previous bullet) he doesn’t care about his credit score. There’s a lot to consider here, and I don’t think you should worry too much about your credit score. I don’t think you should trash it intentionally but I don’t think you should take on additional debt just to keep a higher FICO score. Why doesn’t any of Dave’s advice make sense on paper? Because personal finance isn’t about math or knowledge. If it were, we’d all be millionaires because we all know we should avoid debt, spend less than we make, save money, and plan for the future. That’s common knowledge. What is uncommon is people actually using that knowledge. Personal finance is about behaviors, not knowledge or mathematics.